EnviroFleet introduces a number of new luxury hybrid vehicles. EnviroFleet Corporate Transfers has introduced a number of new luxury hybrid vehicles to its range. As part of our company’s growing business, EnviroFleet Corporate Transfers has recently added additional vehicles to its range, including the new special edition Lexus RX 450h. This is a powerful new 7-seat hybrid vehicle that delivers the same uncompromised styling, now with more space and luxuries for providing our corporate transfers and wider chauffeur services in Melbourne and Sydney, Australia. Arriving in style – these new cars in the fleet feature stunning exterior accents and thoughtful interior additions, as well as enhancements to deliver an even more exceptional driving experience. Eco-friendly – committed to our environmental policy, these new hybrid vehicles maintain even more efficient (low) fuel consumption. 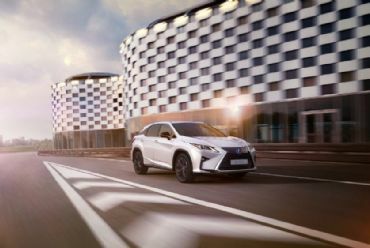 EnviroFleet continues to explore possibilities for new Lexus vehicles as driver demand continues to grow. Meanwhile, the company is also now looking at introducing new technological tools in pursuit for value-added chauffeur services and exceeding client’s expectations. These should be implemented by next year.